Aussilia "Alba" is perfect for your everyday wear as it provides supportive comfort with leather upper and softly padded insoles. Alba is a female given name of Latin origin meaning "dawn". Designed for wider feet with greater opening at the front and back for an easy slip-on. It has a durable string-bow fastening expandable opening at front suitable for the corporate look. 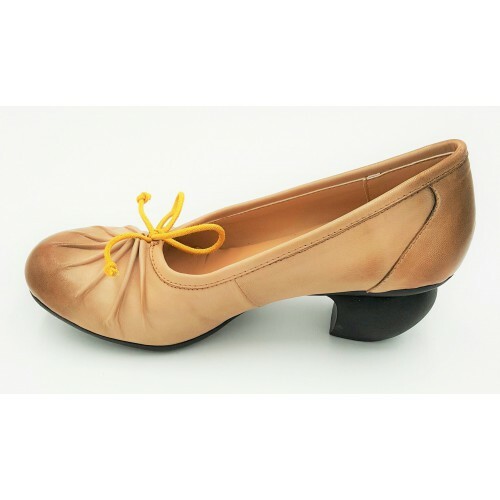 We added a designer clog-heel with a stable and comfortable height which is suitable for busy corporate women. Pair it with your favorite shirt dress or pants. Its so comfortable on your feet. An easy to match for women on-the-go. ♥ So, you can dance the night away till dawn.